Tropical flowers vector. Realistic vector illustration of blooming plumeria with abstract decorations in the background. Delicate rounded petals of the exotic flowers, geometric shapes and tear drops in different colors. Free vector footage to use in your greeting cards, posters, clothing prints and flyers designs. 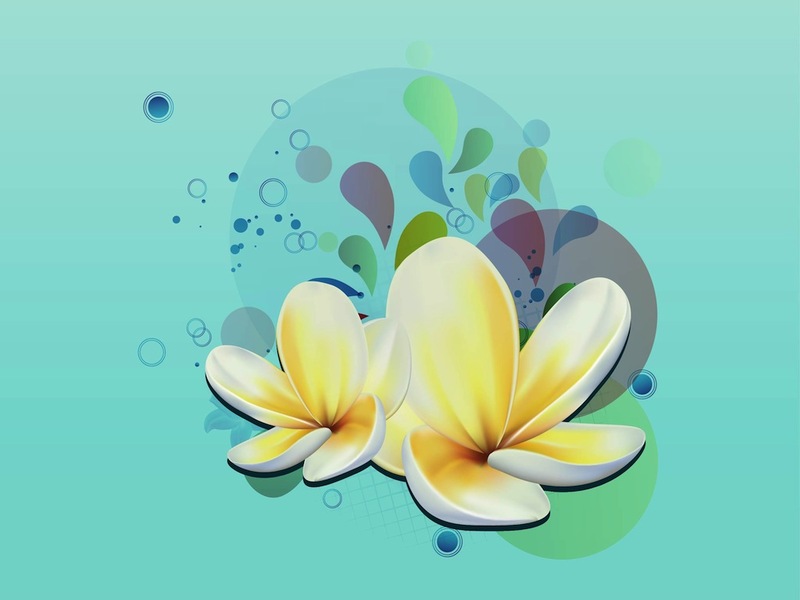 Tags: Decorations, Exotic, Floral, Nature, Plants, Plumeria Vector, Tropical.